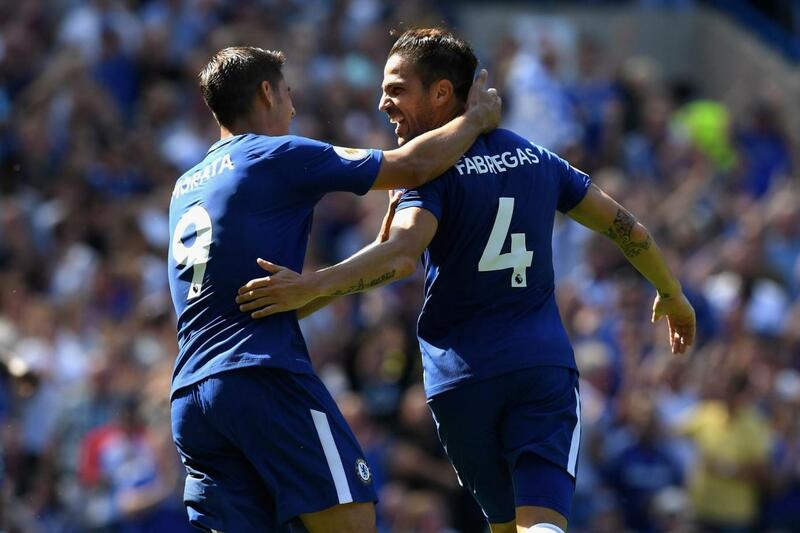 Chelsea beat Everton at Stamford Bridge this afternoon with goals from Cesc Fabregas and Alvaro Morata and delivered a solid, professional performance. Looking ahead to the game I was concerned that Everton would cause us plenty of problems and would test us at the back just as Burnley had done a couple of weeks ago. 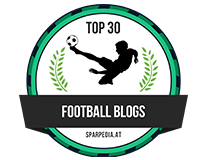 The big spending Evertonians were about to play their third game in six days but in Wayne Rooney and Gylfi Sigurdsson, they had the potential to cause us problems. 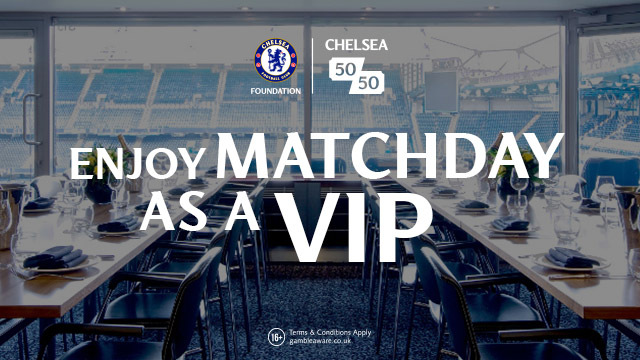 Chelsea were installed as favourites and Inside Betting Tips would have tipped this one up as a home banker. If I were one of those supporters who had travelled down to London and are on their way home I would be very disappointed with the performance and feel as though they never turned up for whatever reason. Some will blame fatigue, some will blame the change in personnel or the change in tactical approach but we have to be honest and state that Chelsea never gave them an opportunity to play their game. 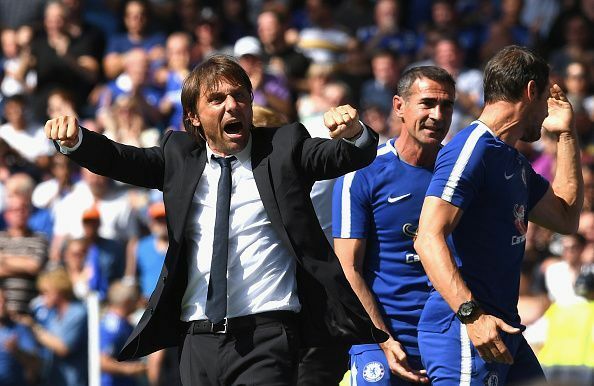 Chelsea's high press under Antonio Conte worked wonders again and gave Everton real problems. Having tried last season to match up with Chelsea's 3-4-3 formation with disastrous results, it was a real surprise to see Ronald Koeman decide to play with three at the back. The difference between Chelsea and Everton implementing the same tactical system was that every time a Chelsea player had the ball, he had at least TWO options to pass to. With Everton, there were times when they were caught with NO options and had to resort to lumping the ball long to get it away from danger, to reset and start again. Cesc Fabregas was imperious in our midfield upon his return to the side following his sending off against Burnley. He was always able to find space to collect he ball, lift his had up and look to pick his passes or to spread the ball around the pitch making it wide and making Everton work harder. When he had an opportunity, he would look to play that killer pass and on a different day Chelsea would have been in on goal numerous times but for a deflection or Alvaro Morata lacking that understanding of where and when to make his move - that will come in time. What a start Alvaro Morata has had. He has scored two and made two assists at Stamford Bridge and led the line well today. 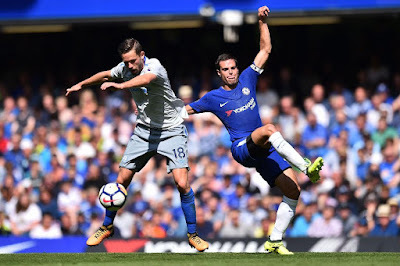 Chelsea were so dominant at times the game was played at walking pace which gave Everton time to get back in their shape and close the space down which at times hampered him. Given time and a quicker game, Morata will grab more opportunities to get in behind and on the end of Cesc Fabregas' through balls so there is no worry there. As for our two goals, Cesc Fabregas' finish was excellent having played a one-two with Morata who, at the second attempt, headed the ball forward into the path of Fabregas and his first time finish into the far corner made it a deserved 1-0. 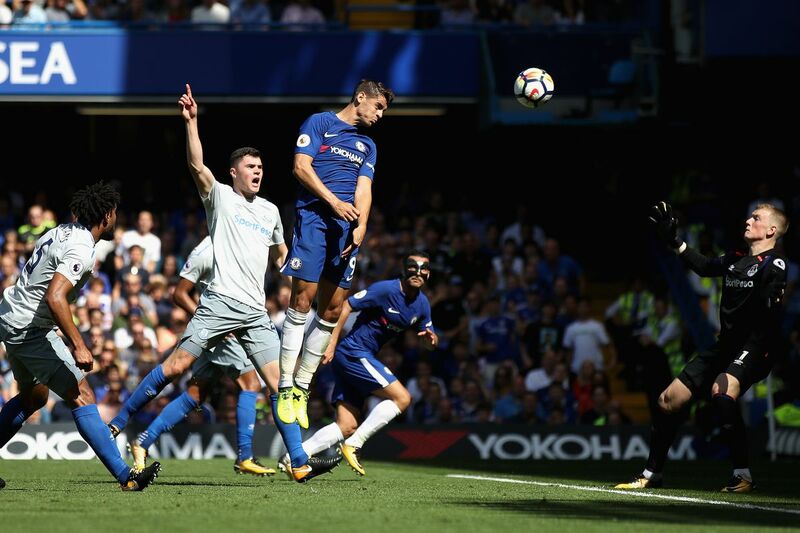 Alvaro Morata doubled our lead after yet another perfect cross into the box from Cesar Azpilicueta found our number nine unmarked to head home from twelve yards out. The only disappointment from the game was that we didn't take the many chances we created in the second half to add to the scoreline. On a different day we would have put four or five passed Everton just as we had done so last season, but for the wrong decision at the last minute, Chelsea wasted two or three good opportunities and will need to ensure they make them count next time. Overall this was such a good display from Chelsea and you can see our confidence building with the new players after the nightmare start a couple of weeks ago. Two wins from two, eight wins in nine Premier League games puts us on six points and just three points off of the leaders as we head into the international break. A dominant, excellent performance from Antonio Conte's side. Now all we need is a couple of additions to strengthen the squad as we look forward to Leicester in two weeks time.